We here at Must Contain Minis like to follow what is going on in the Miniatures Industry and one of the emerging areas of our hobby is in 3D printing. In fact, last July, I wrote an article about my first 3D printed miniature and got a lot of feedback. Since then, my buddy Dave has improved his 3D printing techniques and 3D printers have come down in price. These two facts have me looking at, and thinking about, 3D printing again. 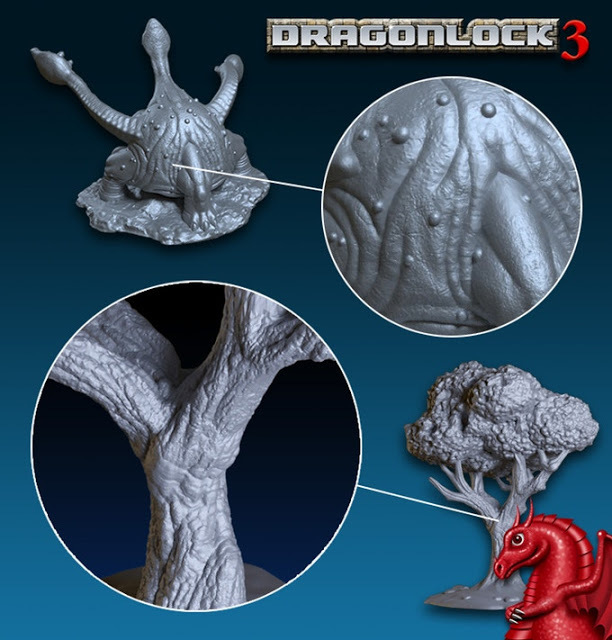 In looking around DriveThruRPG, I noticed that Fat Dragon Games has some fairly nice looking 3D Printing renders. 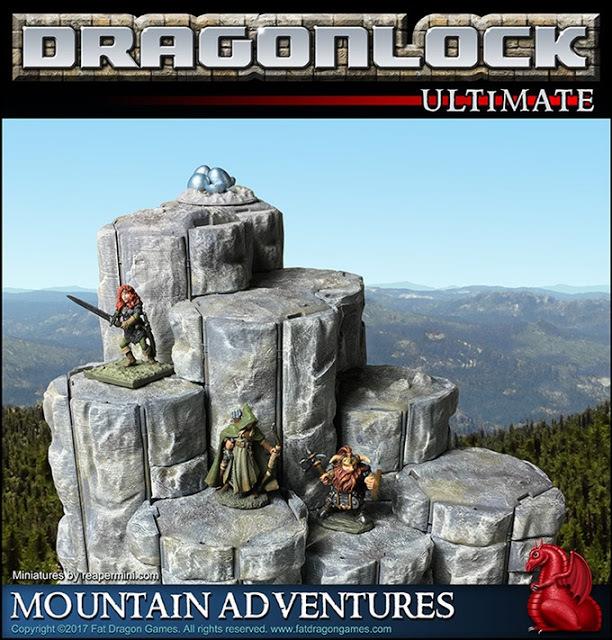 In today’s article, I am going to zoom right in on their current DRAGONLOCK 3 Kickstarter. 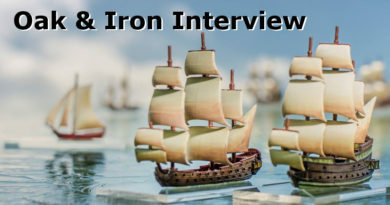 At the end of the article, I will include a link for an affordable 3D printer file that might be of interest to some of my Frostgrave: Ghost Archipelago and Blood & Plunder Readers. All of the images in this post are from Fat Dragon Games and used with their permission. Above is one of the unlocked “Stretch Goals” that comes free with every “Realm of the Mountain King” (or above) pledge. 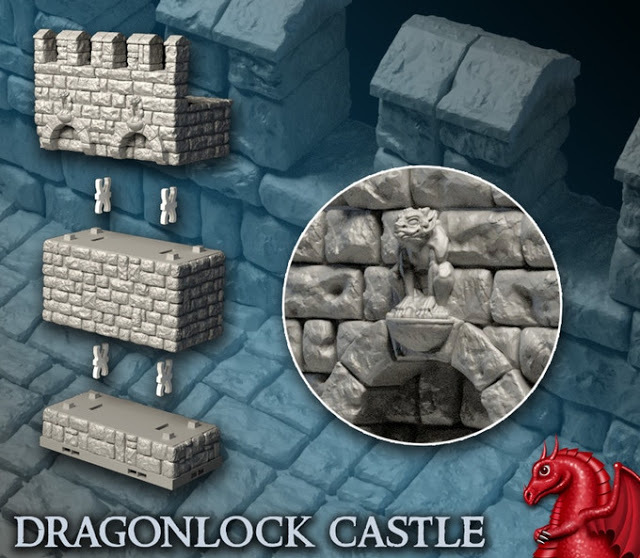 The DRAGONLOCK system is a series of 3D printed terrain files that clip together using special clips (which you can also print off of your 3D printer). There are various levels that you can pledge at, the cheapest is $15 but the first to come with “free stretch goals” costs $60 American. The Wilderness Pledge Renders (final designs subject to change). This is the $15 dollar pledge. 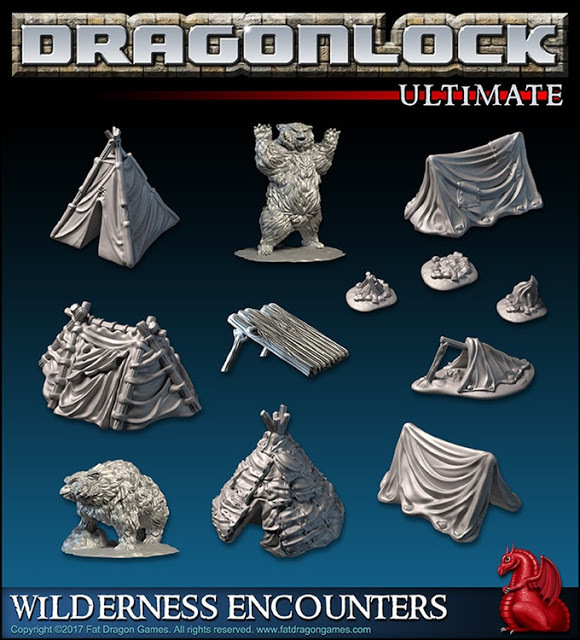 The next pledge up includes the Wilderness files and the Mountain Adventures files for $30. The Mountain Adventures terrain pieces in use. A look at the component file renders of the Mountain Adventures set (final designs subject to change). We could go through every single pledge level, but instead, I am going to skip ahead to the stretch goals. Check this out!!! They are offering up the component files to allow you to print off your own 3D Castle. That is really cool! Already unlocked are several trap tiles for your dungeons as well as a neat looking castle with gates and towers. I certainly hope the real .stl files turn out as nice as the drawings. The stretch goal image is fairly long, so be sure to scroll past it and continue reading the article. The Stretch Goals Sketches. Some really cool stuff in here. Fat Dragon Games is fairly confident of the quality of their files and show off some close ups of the details on their models. 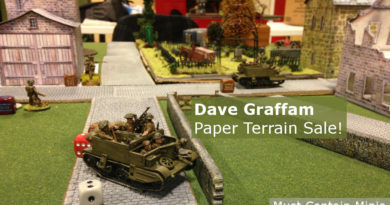 A close up look of the details on Fat Dragon Games’ 3D printed models. In looking through the add-ons to the Kickstarter, I found some that I want to share with my readers. The first is their Starships line. There are two sets here each running for $10. The details in the renders look pretty good and check out the concept sketches for the pieces. A render of a Starships tile (final design subject to change). Check out these concept sketches. I love that they are planning to include a Shuttle in the second set of Starships parts. Just imagine playing Space Hulk, Rogue Stars or some other Sci-Fi game on these tiles! I think that would be a lot of fun! They are planning to include a printable shuttle with Starships Part 2. How cool is that!!! While there are a number of $10 add-ons, in my opinion, the absolute best add-ons are also the most expensive ones. 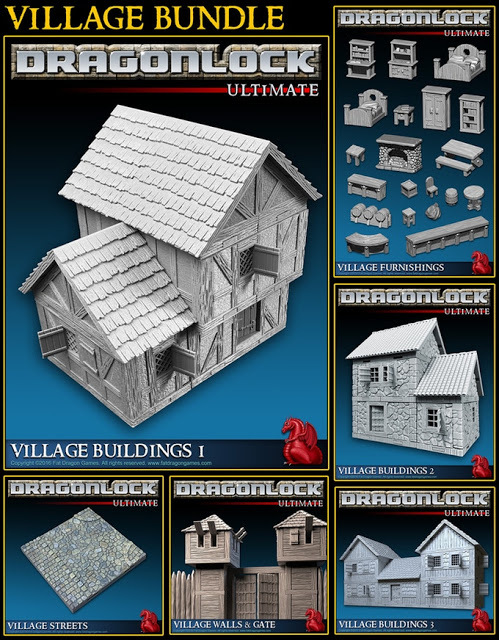 You can buy the DRAGONLOCK Ultimate Dungeon or their DRAGONLOCK Ultimate Village set for 25% off their normal price. Not bad at all. This add-on collection is huge!!! I think you could make pretty much any dungeon with it for your RPGs, Dungeon Crawler Games and Skirmish Games. I love the village and wouldn’t mind getting my hands on this collection. I think this file would be great for Historical games and fantasy based games for both Wargaming and RPGs. If money were no issue for me, I would love to go all in on this Kickstarter and get a Hero Level 2 Pledge along with the Ultimate Village Bundle. I would also like to buy myself a 3D printer, but that is a different matter. Fortunately, I have a friend that owns one so you might very well see me experimenting with 3D Terrain and Miniatures in the future. 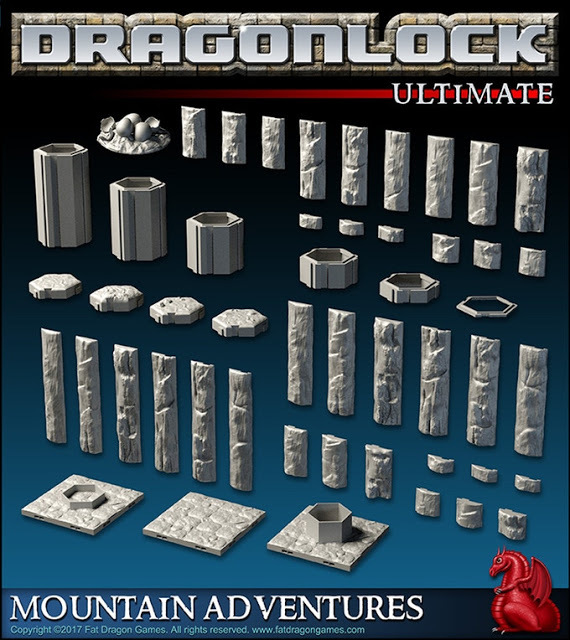 For those that would like to test the models before they invest in a Kickstarter, remember that DriveThruRPG does sell Fat Dragon Games’ older 3D models. You could easily buy one of their older sets for $10 to $20 and give it a try before going all in on the Kickstarter. 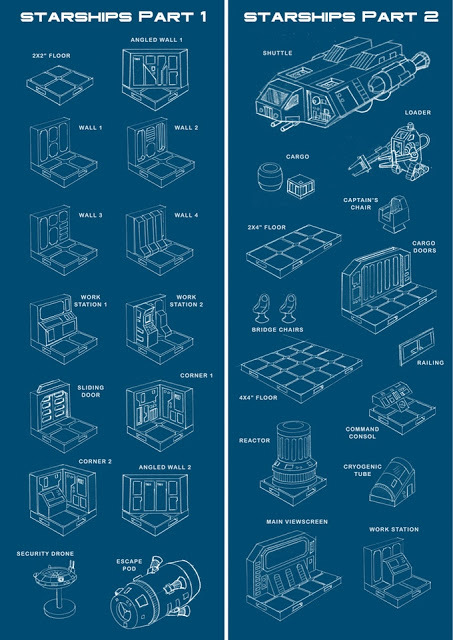 They also have a sample download of a couple of dungeon tiles that you can download and test out for free. 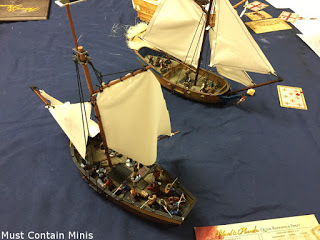 To finish, I would like to draw my readers attention to the file that I mentioned earlier to interest Blood & Plunder and Frostgrave: Ghost Archipelago players. 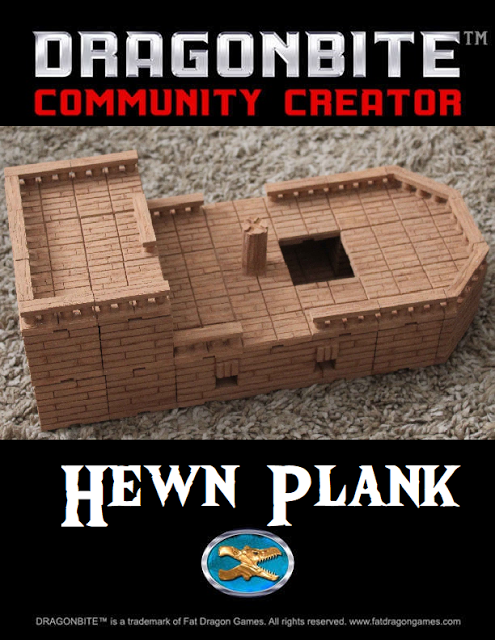 Someone in the gaming community took DRAGONLOCK tiles and created a model of a 3D printable ship called the Hewn Plank. I haven’t been able to look at it myself, but it certainly looks neat and it is a “pay what you want to pay” product. The Hewn Plank. A “pay what you want to pay” 3D printable model on DriveThruRPG. 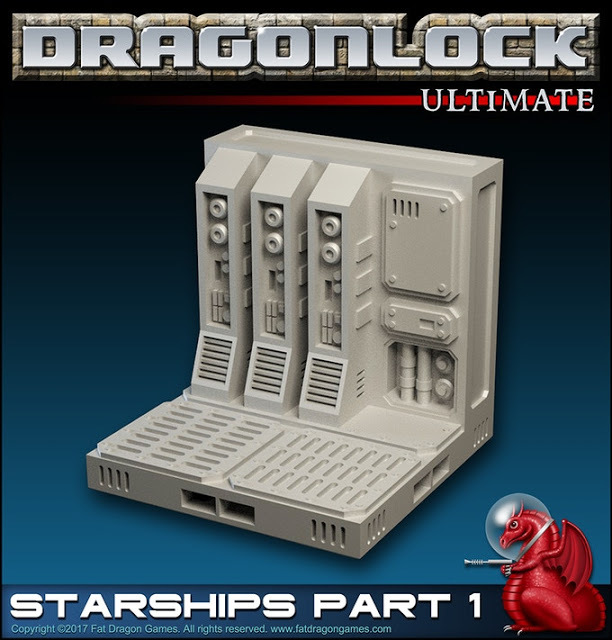 I hope that everyone enjoyed this quick look at the DRAGONLOCK 3 Kickstarter. Disclosure: This post contains multiple affiliate sales links to DriveThruRPG. If you make a purchase from them after using one of the links on this site, a portion of the sales goes towards supporting Must Contain Minis. Blood & Plunder – Kickstarter Coming Soon!